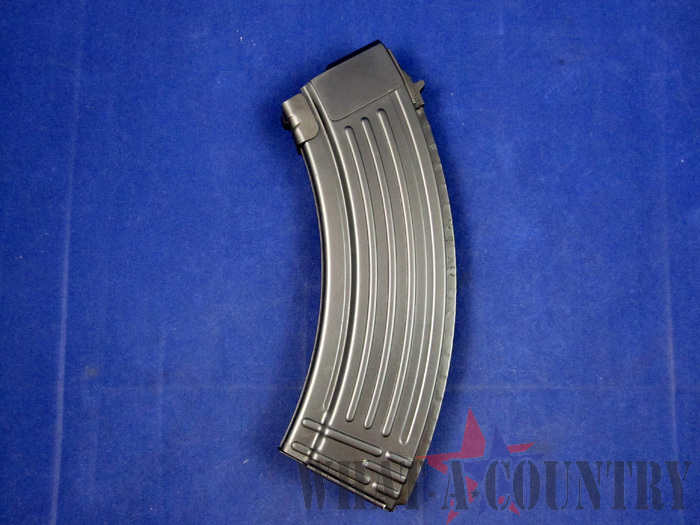 Surplus steel ribbed style back AK-47 30-Round Magazine 7.62x39. Original East German Mfg. pre-ban. Used-Good: Used magazine in good overall condition. Show much use, wear, storage, minor dings, etc. New, w/Rust: Like new condition with Minor Surface Rust spots on exterior, generally only on one side. 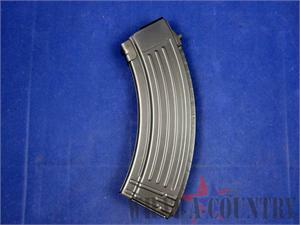 Very Good: Nice mag with light wear/use/etc, overall in very good condition. Being surplus all three conditions listed above are subject to imperfections such as scuff marks from storage or use, very small spots of rust, minor pitting, tiny dings, engravings of numbers/initials and so on. Original Polish Bakelite Bayonet, Good Cond.